1 lb. package of flour, 1 lb. package of sugar, toothpaste, toothbrushes, cocoa, tea, dish detergent, jell-o or pudding mix, and small jars of coffee. If you have a pastoral emergency, please call Pastor Jeff at 315-383-4384. If you know anyone who needs a prayer shawl or lap robe, they are in the office, please take one and let Dottie Smith know. 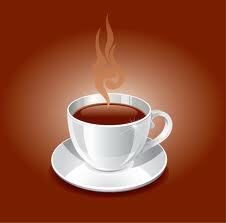 ​Coffee and refreshments are available after services on Sunday. Stay and visit after service in the fellowship hall. Any pictures of church or functions that you wish to share would also be looked at and some possibly added to the website. Free Will Dinner will be on the last Tuesday of each month. Exercise Group will meet at the church on Monday and Wednesday 2:00 pm. Contact Lynda Tomlinson with any questions. Everyone is invited to participate. We do walking or chair aerobic exercises, light weights, chair yoga, and balance. All exercises have the option to sit or stand. Serving starts at 4:00 p.m. If you have any questions, call (315) 695-6086. Join the Pennellville Church Choir! Music plays a significant role in our worship at Church, through the gifts and talents of our choir members. Do you like to sing? The Pennellville choir welcomes anyone who genuinely enjoys learning and singing wonderful music. The Choir rehearses on Sunday mornings from 9:30 a.m. to 10:45 a.m. We'd love to have you witth us! A lot is going on at PUMC -- Please consider giving a gift to the parking lot fund. Phase One was recently completed and Phase Two will be completed next year. Help us raise $48,000 needed for this important Capital Project.